If you crave the reassurance and familiarity of a smartphone admired around the globe, buying a cheap iPhone is a great way to satisfy all your mobile needs. A goliath on the smartphone scene since releasing their first generation model in 2007, Apple's continuous developments mean you can pick up sought-after older models for less than £150. All of our iPhones are super affordable and in full working condition, offering a wonderful mobile experience at a fraction of the cost of buying a new model. It doesn't matter what network you're on either - iPhones are compatible with multiple providers. What's more as you can use your existing SIM card you can keep the same number. In the unfortunate, rare event that your iPhone does break, don't worry because your like-new phone is protected by our 12-month guarantee. 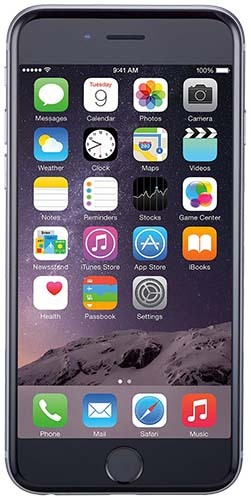 Take a look around and choose one of our many ever-reliable iPhone handsets today.